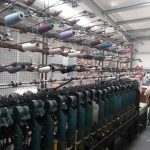 Last weekend I finally got round to going to one of the John Arbon Textiles Wool Mill Open Days, which I’ve been wanting to do for several years! The trip was organised by Lucy from Purl A Row yarn shop in Par. Lucy runs regular workshops and classes as well as trips, so keep an eye on her Facebook page to see what’s happening if you’re close enough to visit. At the mill there was plenty of opportunity for retail therapy whilst waiting for our allotted mill tour slot, including special offers on wool, tops, readymade socks, and books. 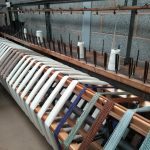 Wooltops and Daughter of a Shepherd were also there with their yarns and patterns, as both businesses have an association with the mill. The mill usually has a bag or two of wool nepps available for free, which apparently are great to put around your seedlings to protect them from slugs and snails! The mill tour was fascinating. 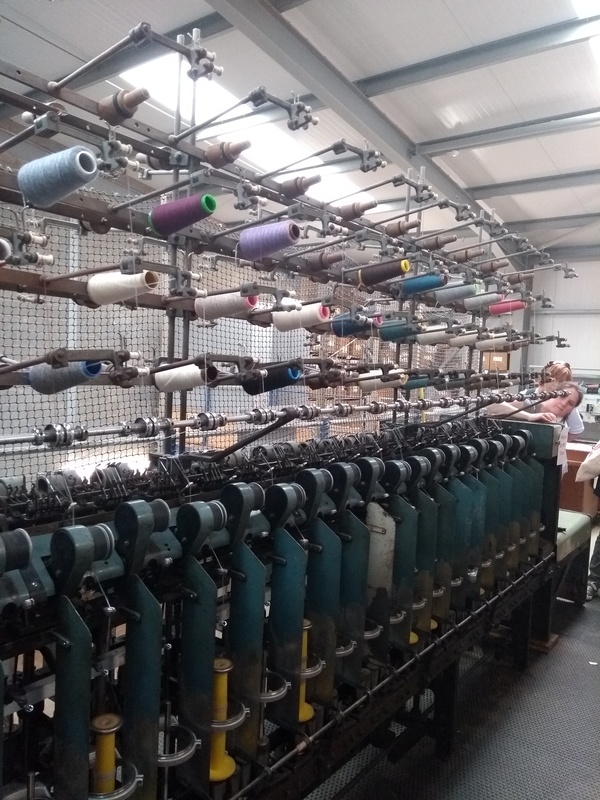 The lovely John Arbon showed us around the first room full of machines which comb, grade, and spin the fleece into beautiful singles on large bobbins, explaining the process with ease. 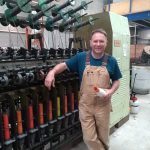 The machines were run for a few seconds where possible – most of them were very noisy, but wonderful to watch. Each machine is named, with several of them dating from around the 1950s and 1960s. The newest machine is Gino (Italian of course!) and is just 2 years old. 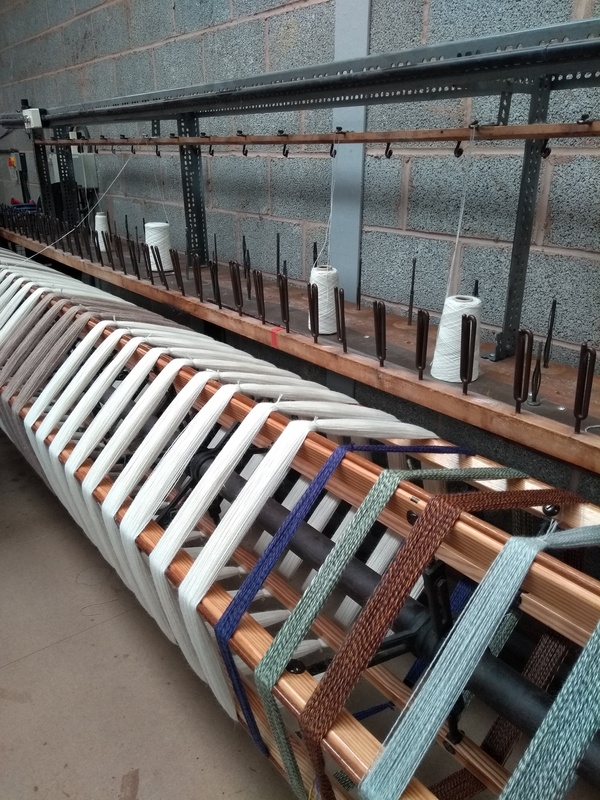 Gillian is the skein winding machine and the oldest in use at the mill, dating back to 1900 and still going strong. 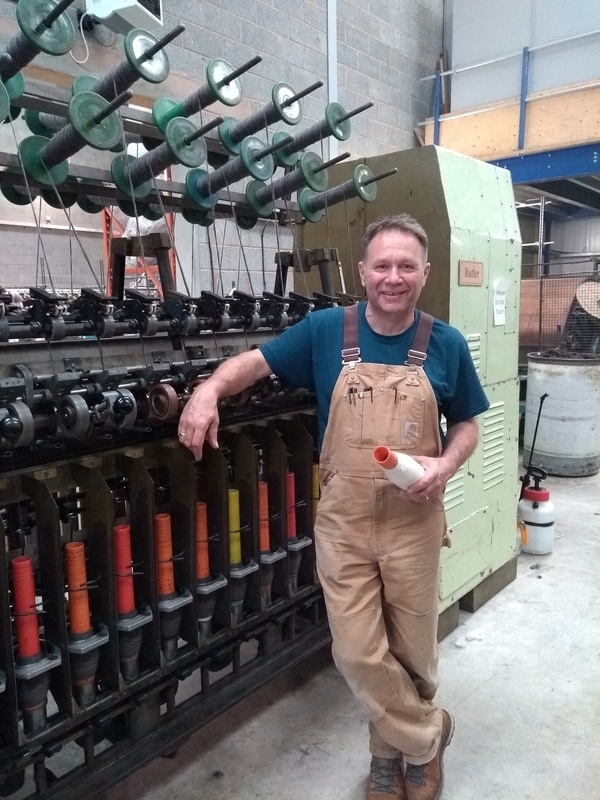 If you get chance to go to one of the mill open days I would recommend it – a relaxed day with friendly staff, and the coffee and cakes are lovely too!